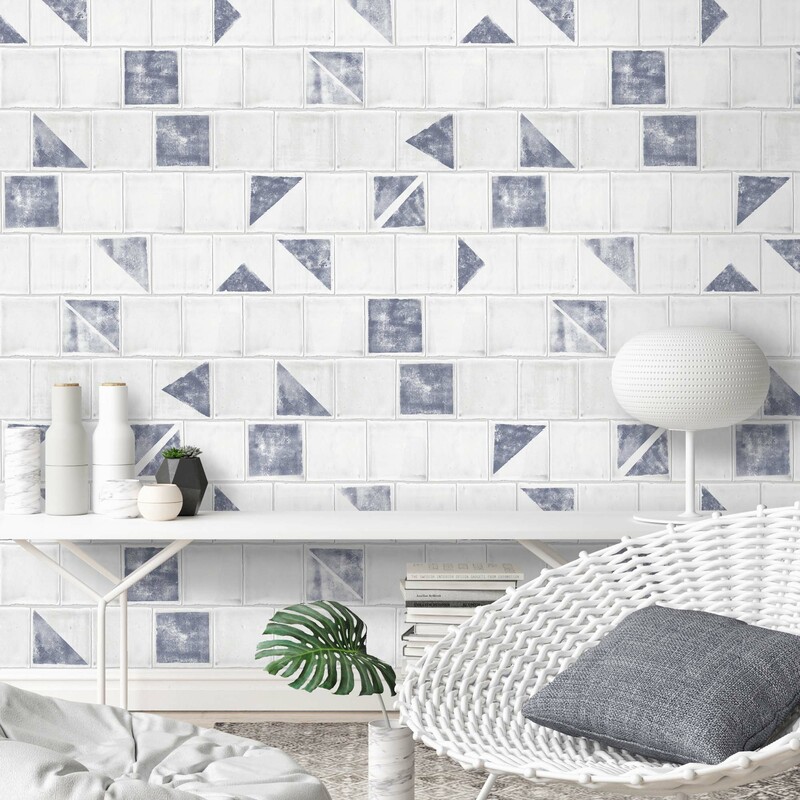 If you read my update on my bedroom redesign last week you’ll know how much we’ve fallen in love with Woodchip & Magnolia’s new Va Va Frome leaf wallpaper from their latest Pearl Lowe Collection. It’s been bothering me ever since that I’ve only shown you one design of what is, in my opinion, Woodchip & Magnolias’s greatest collections to date. And that is a hard to feat to beat considering they’ve produced some amazing works of art, I mean wallpaper to adorn your walls since their launch last year. 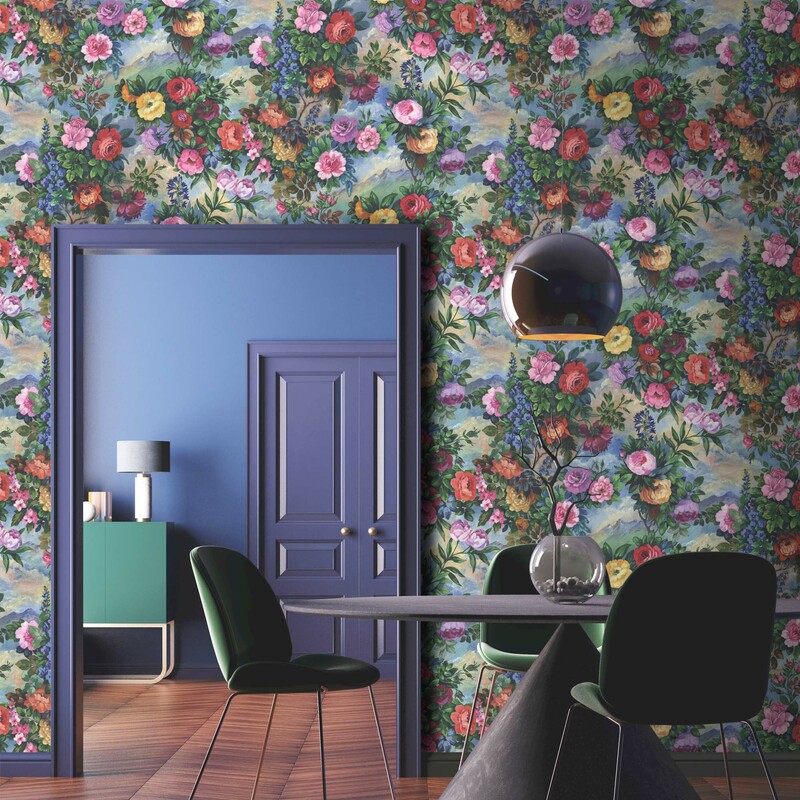 I not only want to share their latest collections with you but I also wanted you to know a little bit more about what makes this family run wallpaper brand one of the best on the market. Oh, and it happens to be National Wallpaper week so I thought why the hell not. Before we start I just wanted to let you know that this post is by no means sponsored in any way. It’s a post that has been on my never-ending list to write about posts since I spoke to Nina their head designer and co-owner earlier this year. 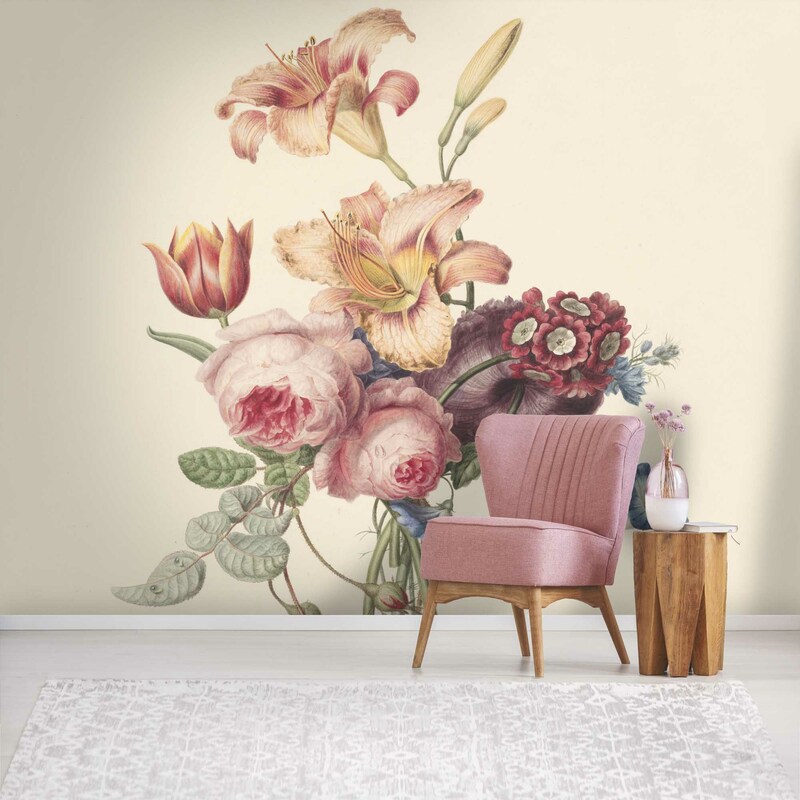 Woodchip & Magnolia’s passion for colour, pattern and your walls will ensure you’ll be banishing any woodchip and magnolia that you might have lurking around or inherited. It’s time to be rid of them for good and make your home a more colourful and interesting place to live in. When I think of Woodchip & Magnolia’s wallpaper and murals, I automatically think of them in terms of large-scaled art pieces for our walls. Which isn’t far from the truth when you think that wallpaper designers are creatives that explore and experiment with surface areas. 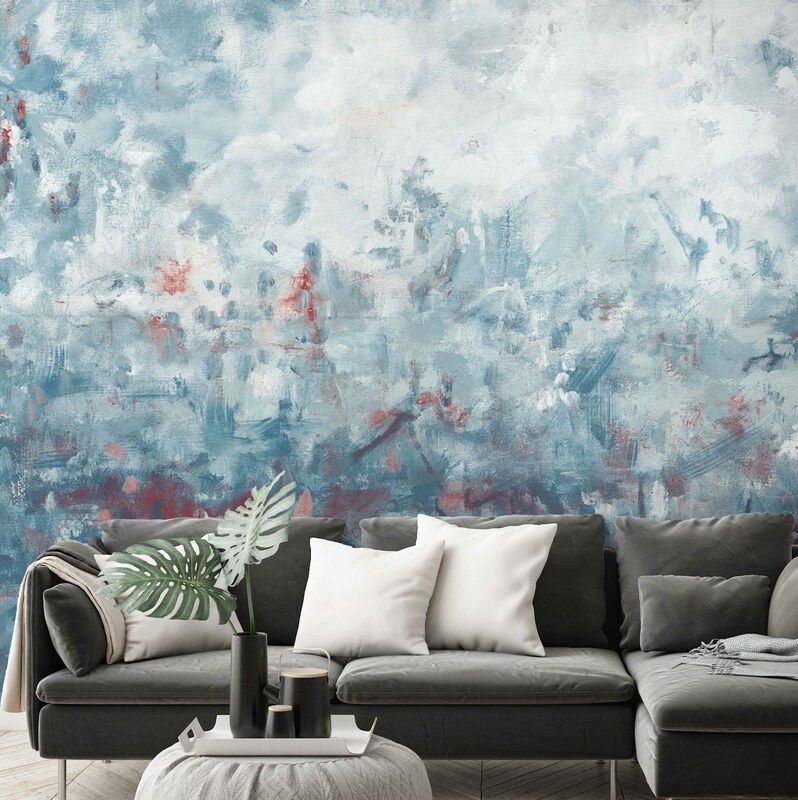 When you purchase wallpaper you are buying a piece that has been created and designed by an artist. Wallpaper, like art, can have such an impact on our interiors. They create visual interest as well as providing others with an insight into our personalities through the choices that we make. It’s worth taking your time to ensure you are investing in a design that will bring you joy everytime you look at it. After all, most of us are unlikely to redecorate for at least on average 5 years and whose not to say that you’d be more than likely to keep it up longer. Whether you combine wallpaper and paint or whether you go the whole hog and maximalise your spaces, it’s entirely up to you. It’s liberating to throw caution to the wind and just go for it. After all, it’s your home, your walls and they should interpret your own personality and style. Forget greige or beige and be brave and true to yourself. Finding our own unique style and decor preferences wallpaper allows us to fully express ourselves. Claire who I featured on Tuesday had bought a roll of wallpaper she fell in love with and although it took her two years to put it up, she did. Why because she knew instantly that she loved it. Now I’m not saying you should take two years to put your wallpaper up, but the thought process is clear. Go with what you love and everything else will fall in place. Stop worrying about what others may think or whether you should or shouldn’t. You’ll never know until you try and it might actually make you more confident in your decor choices as a result. 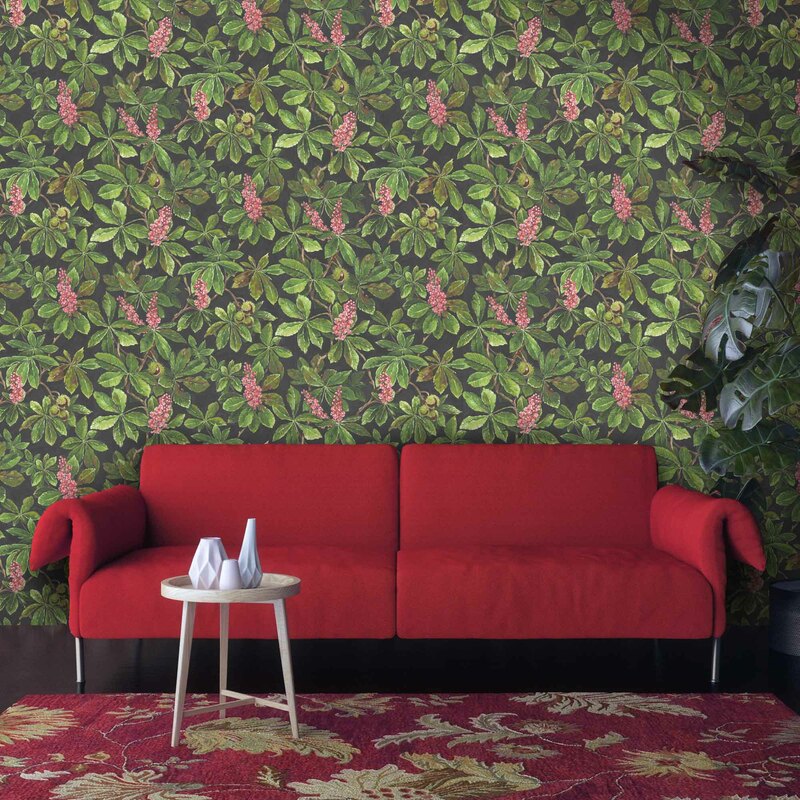 Vibrant and as easy to put up as it is to take down, our wallpaper is the perfect way to add life to your home – even a rented one, since removal doesn’t leave a residue. 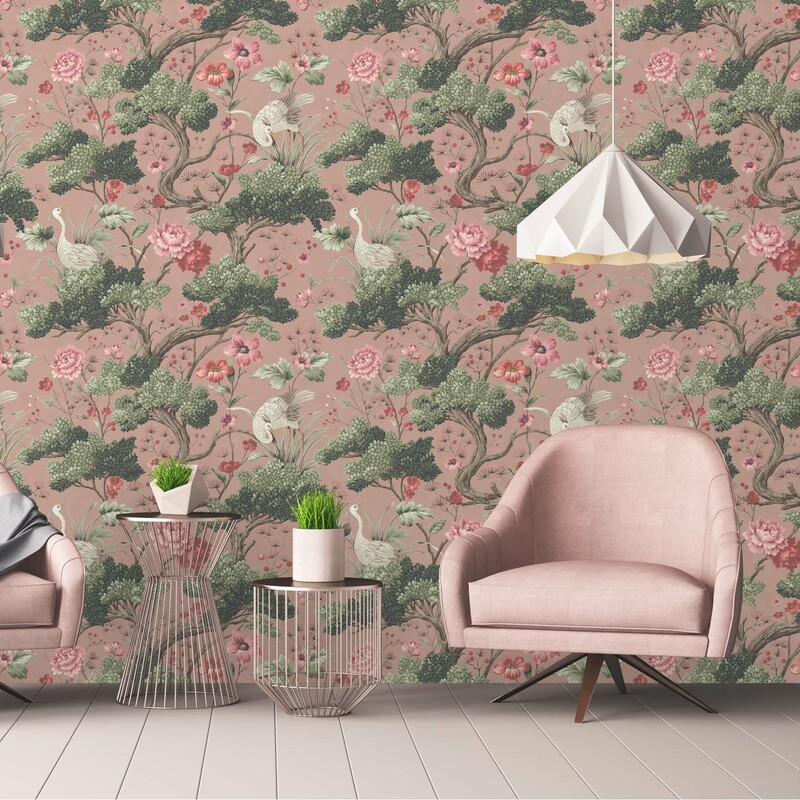 Nina Marika Tarnowski (left) and Sarah representing Pearl Lowe who Woodchip & Magnolia have collaborated with at this years LDF – If you’ve ever had the pleasure of meeting owner and lead designer Nina, she will have you hypnotised by her total love and enthusiasm for wallpaper. Woodchip & Magnolia was founded by Nina Marika Tarnowski. It comes as no surprise that she is a self-confessed wallpaper, pattern and colour addict. 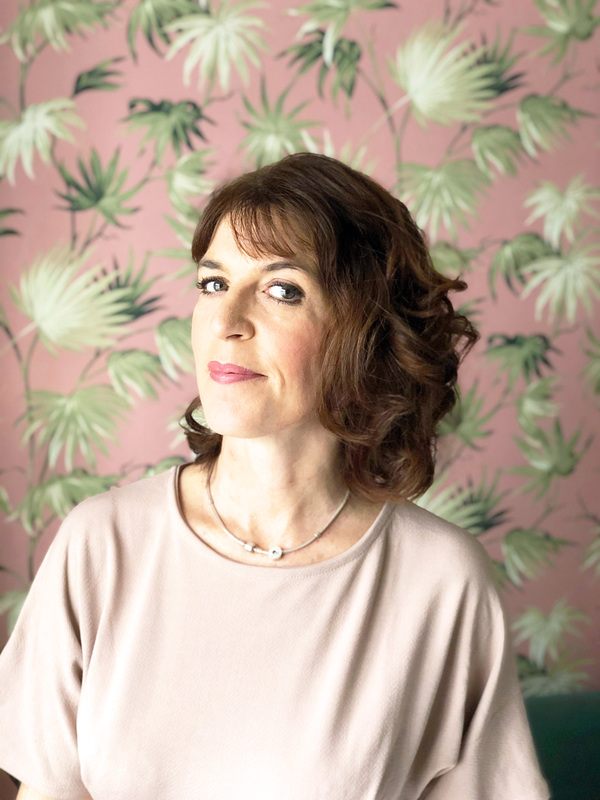 Together with her husband and business partner, Paul, the company designs and manufactures unique, luxury wall coverings for both domestic and commercial interior settings all from their Lancashire studio. Their creativity stems over a whopping 30 years! 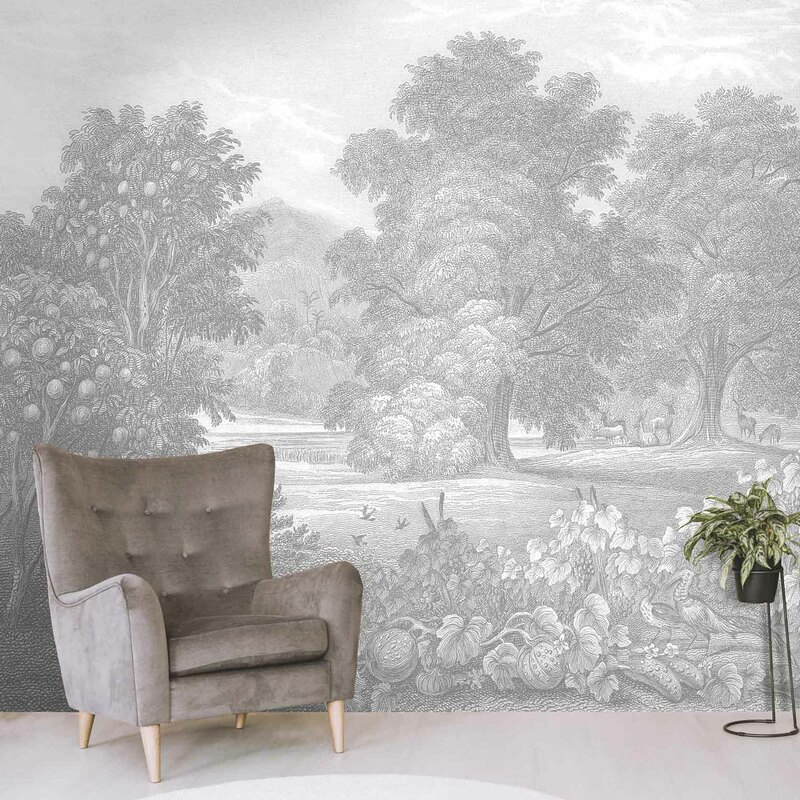 With a wealth of experience in both commercial wallpaper and textile manufacturing, Woodchip & Magnolia, a family run business, pride themselves on their technical knowledge, together with a strong design and colour aesthetic. 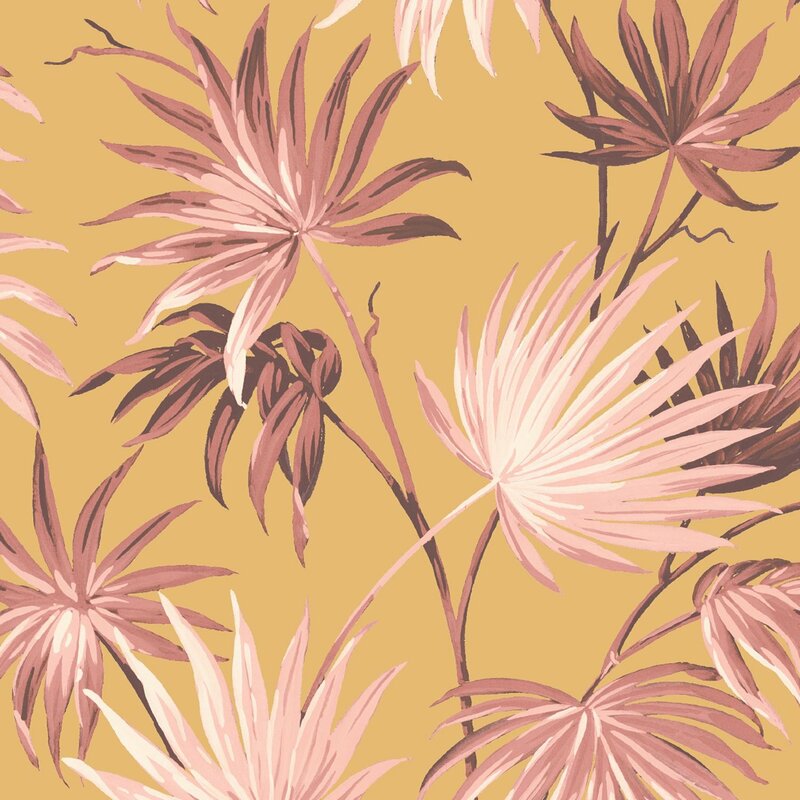 The lovely Nina’s obsession with pattern and colour started from a tender age of five when she told her teacher that she wanted to be a wallpaper designer. She went on to make her dreams a reality and graduated from Leeds College of Art in 1997 with a BA (Hons) in Surface Pattern and Textile Design. 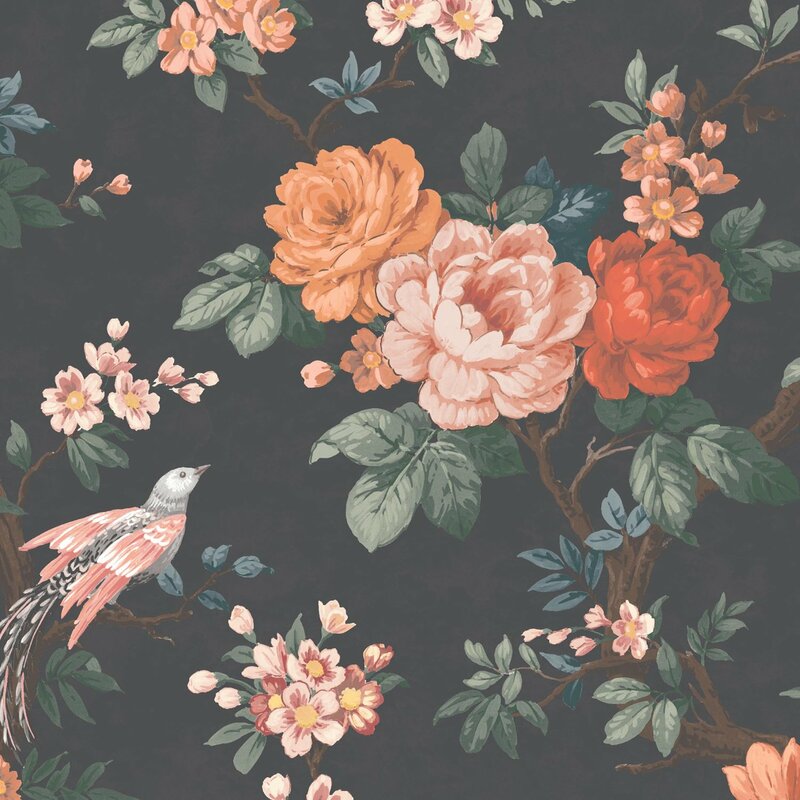 Nina then worked for 18 years as a Head Stylist /Design Manager for British wallpaper manufacturer, Graham & Brown. An inspiration to any of you wanting to follow your dreams don’t you think? Nina honed her craft before computer-aided technology exploded onto the scene when every single colour-way was hand painted, and every design layout was hand-drawn in full repeat. It is this rich experience in traditional craftsmanship, combined with new, digital technological know-how, which gives her a truly unique edge. What Makes Woodchip & Magnolia Unique Apart From Their Wallpaper? 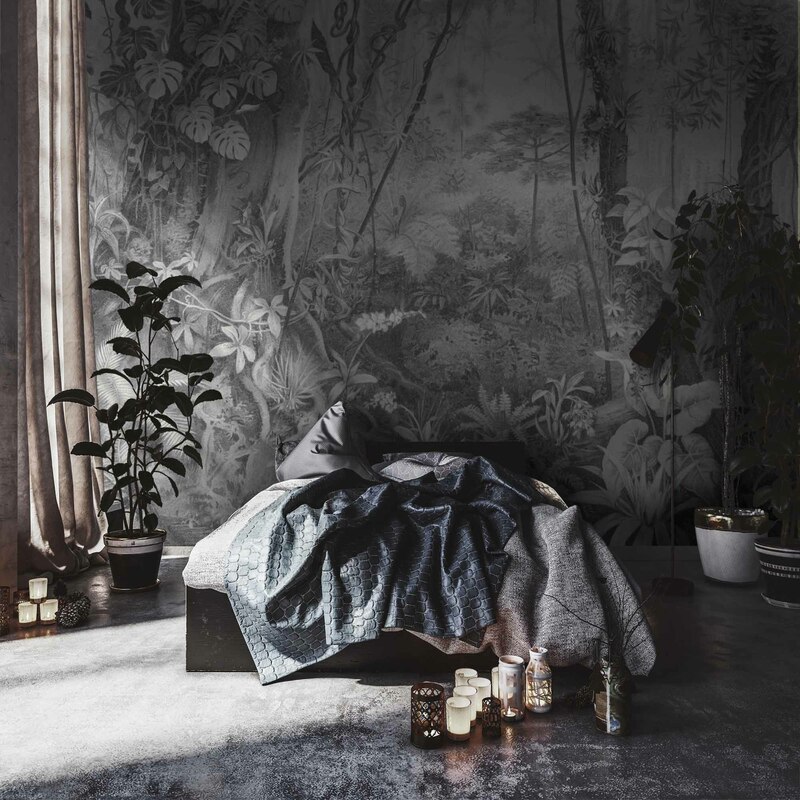 Tropical Paradise Jungle Mono Grey Wallpaper Mural – I might not be able to convince you to step away from the greyiege that has taken over our magnolia walls, but it might be possible to tempt you with a grey wallpaper with a difference. 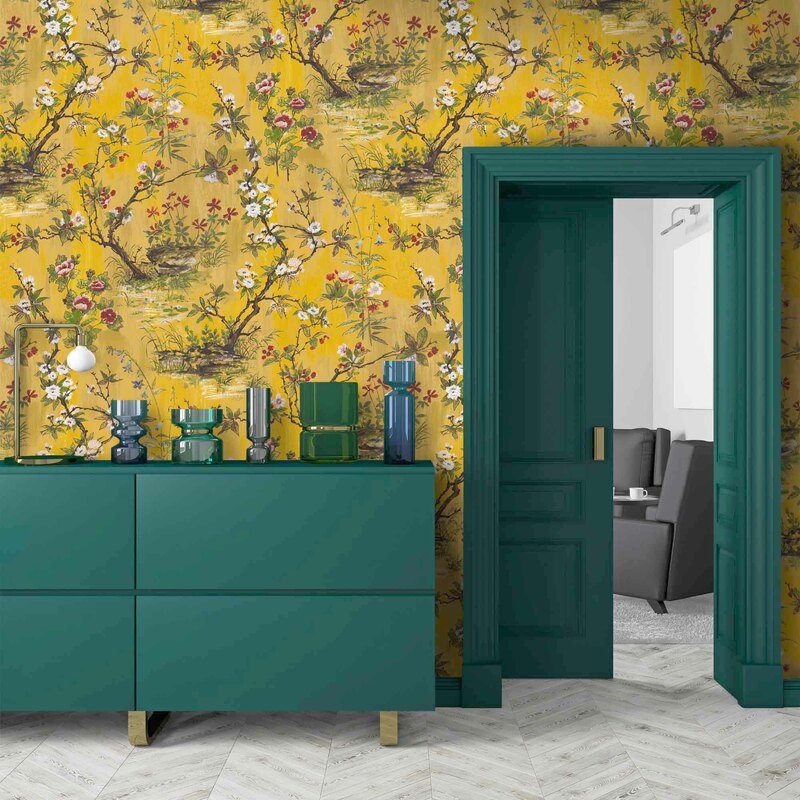 Apart from their magnificent wallpapers, what makes Woodchip & Magnolia standout from the crowd is the fact that unlike the larger wallpaper manufacturers, they credit and acknowledge the designers that they collaborate with. We often forget this element when we purchase anything for our homes but somewhere someone has dedicated their time and skills to create something that is unique. “We like to do things differently. We don’t follow trends or have a signature style. 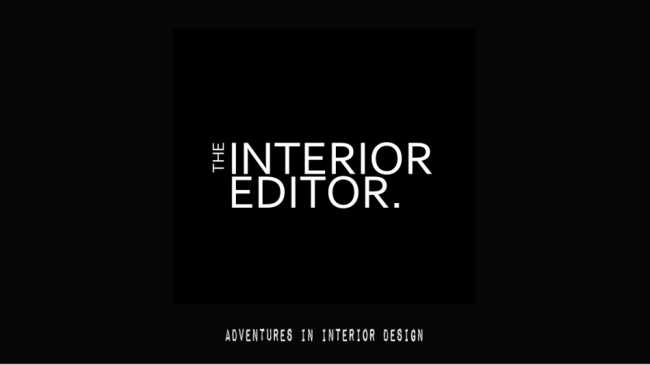 We do what we want when we feel like it, together with creatives who share the same passion and ethos. 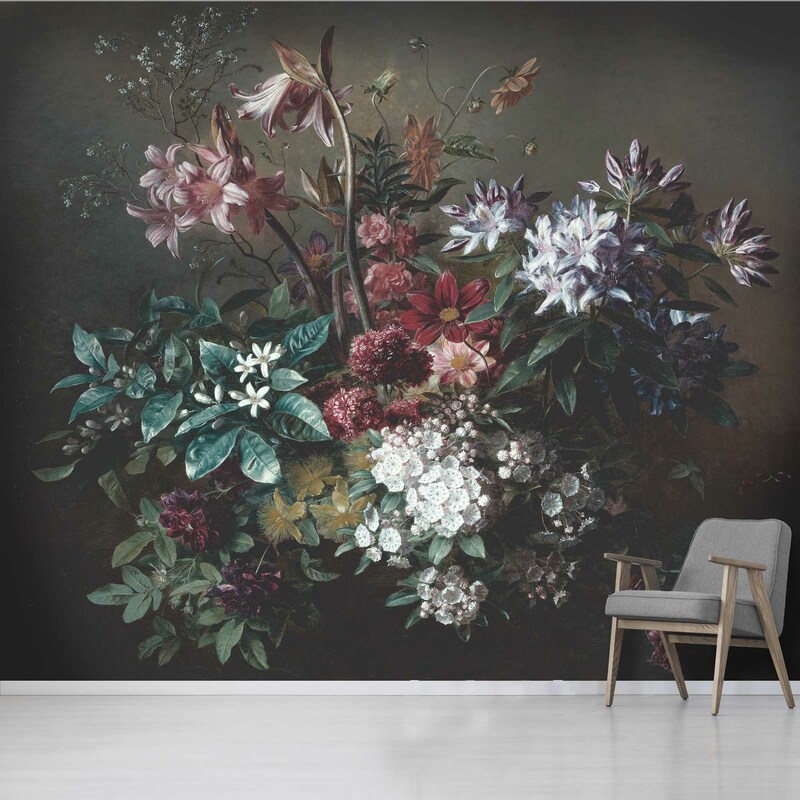 Haze Petrol Wallpaper Mural Woodchip and Magnolia – Barry Spence is an artist who Woodchip & Magnolia collaborate regularly with. They literally turn his artwork into art for your walls. 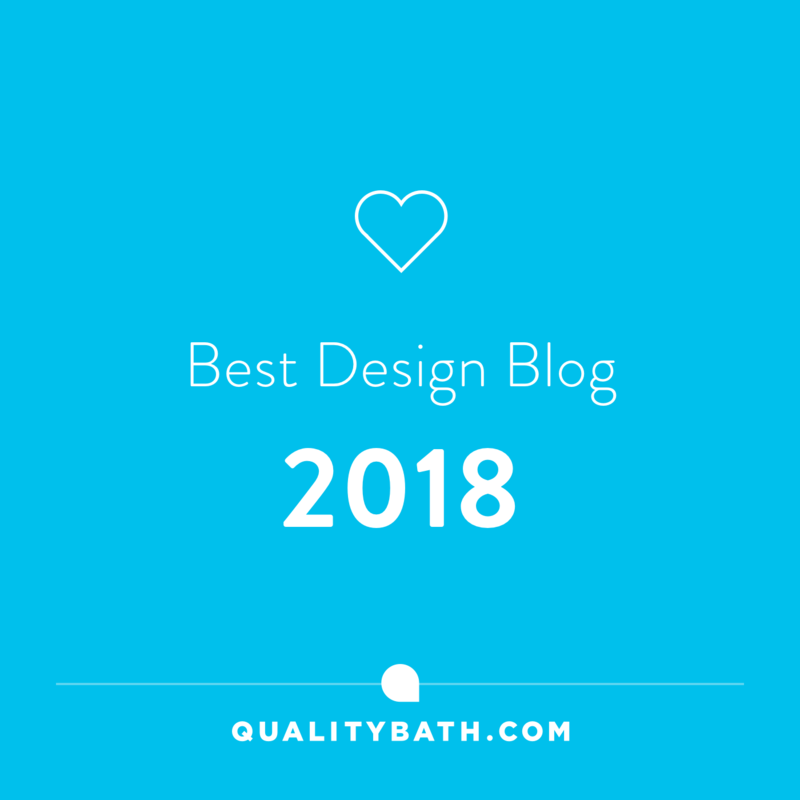 Woodchip & Magnolia are redefining this area by ensuring that those involved are allowed to shine and be acknowledged in their own right as designers. You might not know this but quite often new up-and-coming designers are often snapped up by larger companies as soon as they’ve graduated to be used and will never be credited for their work. Having met quite a few of our amazingly talented young designers at New Designers this year, I really struggled with the knowledge that their talent and creative skills will not be their own but that of the companies that use them for a year and then replace them with fresh talent the next. It might be something you might like to bear in mind too. With sustainability in mind Woodchip & Magnolia only print to order ensuring that waste is kept to a minimal as possible. Non-woven wallpaper, won’t shrink or expand over time. Woodchip & Magnolia, unveiled their brand new collections at London Design Fair last month and they really are something to shout about! 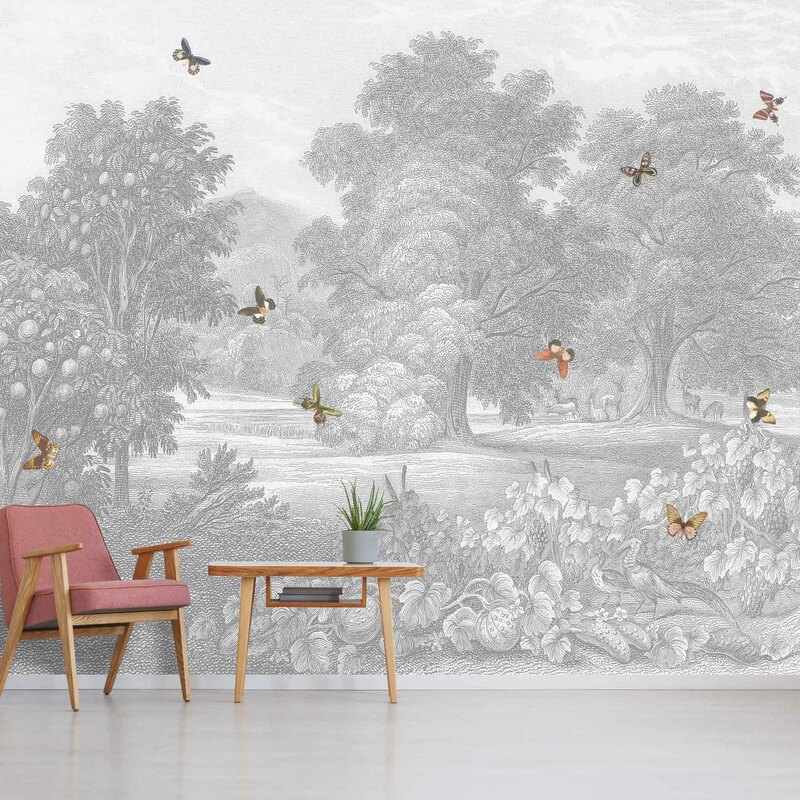 Land of Milk & Honey collection is an exciting new range of whimsical wall murals and wallpapers, inspired by nature and the local vernacular. This collection is meant to transport you away from the real world into a pastoral utopia. Think mystical Japanese gardens to the dramatic rural landscapes of the North West. Of course, Woodchip & Magnolia’s signature style of blending urban textures and surfaces with natural elements is prevalent throughout from juxtaposing tropical leaves and forest-scapes with stark concrete backgrounds. Ready to be inspired by this collection? I know I am as I have an eye on one or two for other parts of our home. 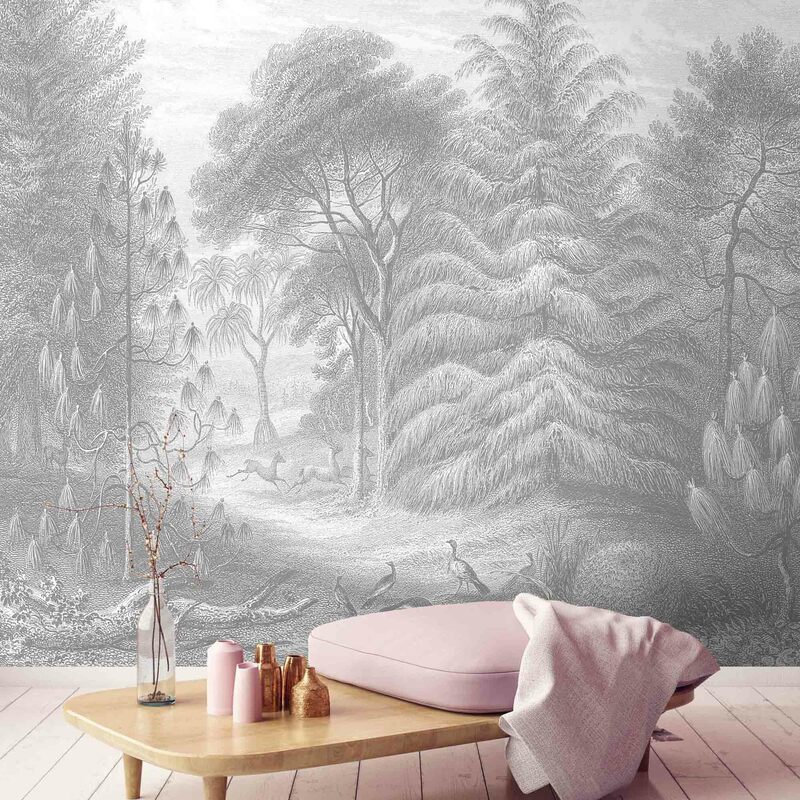 First up we have a series of beautifully etched, dream-like woodland scenes, these stunning murals have been created to evoke a gentle narrative which transports you to a surreal, magical place. Beautiful and original in their design these hand-etched drawings have been reproduced with the latest digital print technology to great effect. This series may be your first step in adding subtle artwork for your walls whilst retaining your need for neutral colours i.e., grey. These are such magical designs. There’s an almost dreamlike restful quality in their appearance. This series also reminds me of drawings you would find in older style books. It would make a great feature wall in your little one’s bedroom or forget the kids and savour it for yourself and put it in your bedroom, study or if you have one a library. 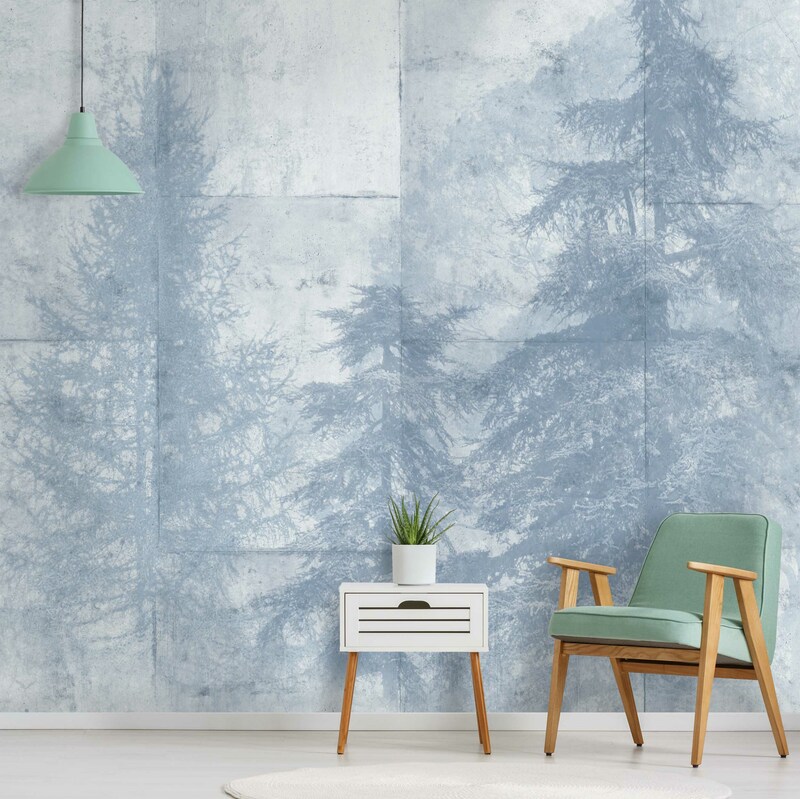 Inspired by Entwistle Reservoir, one of Lancashire’s prettiest nature reserves, this evocative design celebrates the abundance of conifer trees which have flourished for centuries in an area much-loved by founder, Nina, who has been enchanted by the area since childhood. 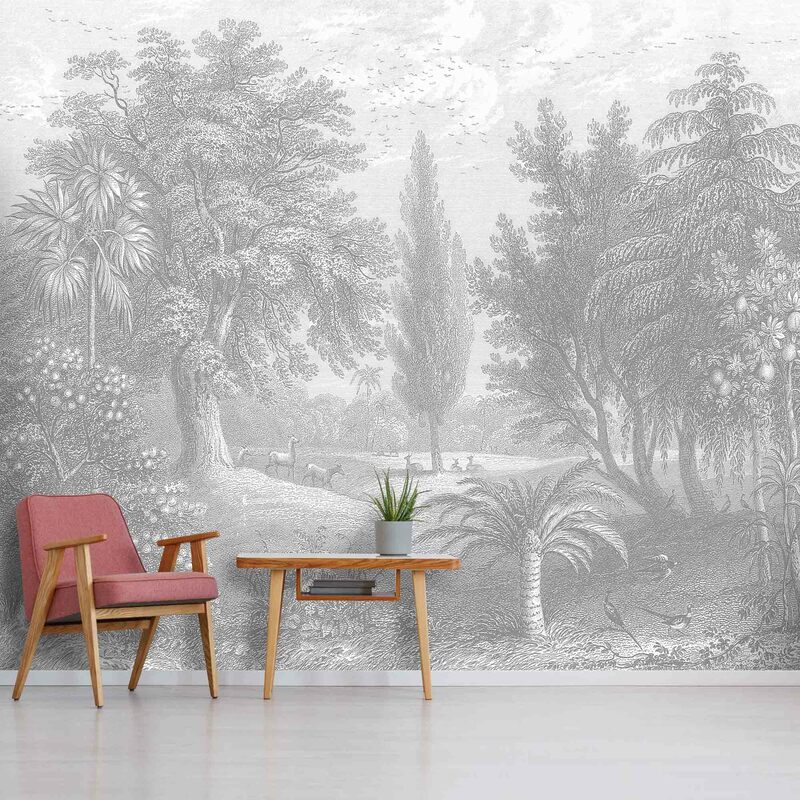 Originally hand-etched and hand-painted, this pastoral, fairy tale depiction of lush forestry is unexpectedly placed against a concrete backdrop – a reminder of the region’s industrial heritage. Available in Slate Grey and Blue. A timeless design that captures the grandiose peaks and mountains of the Lake District. Its soft monochromatic design allows you the freedom to explore textures or if your feeling brave to add pops of colour to brighten and lift a room. Another beautiful, classic oversized floral in a pale background and soft pastel colourway. This pretty design offers up a distinctly British, country cottage interpretation on the floral theme. I can’t help but think how cool this would look with a pink velvet sofa or bed for that matter sat in front of what would be an amazing feature wall that would add impact but in a feminine delicate way. Come to think of it, how amazing would this look in a bathroom! 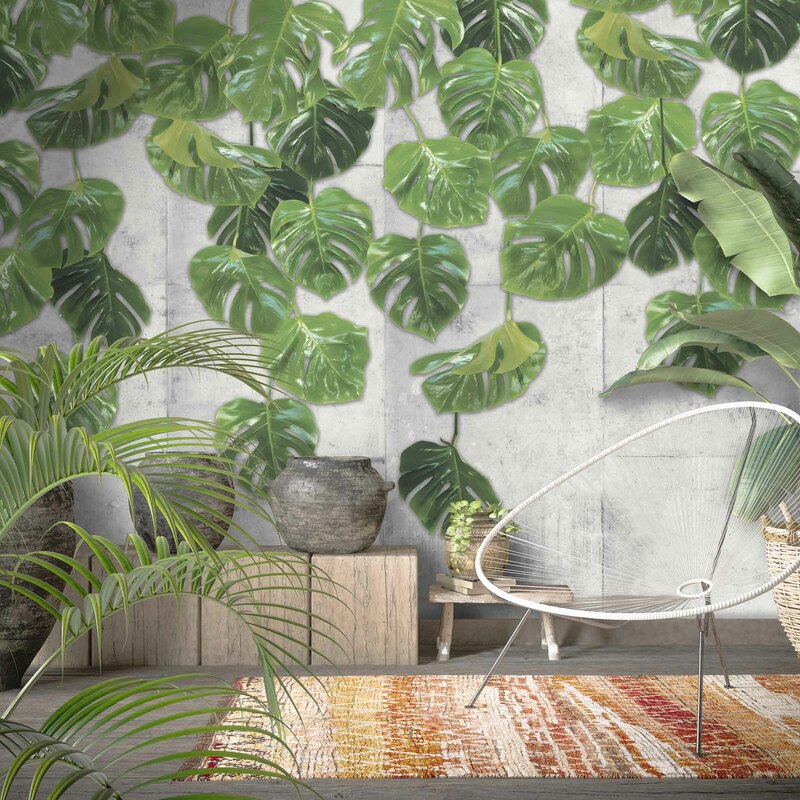 Following on from its highly successful Monstera wallpaper, this vivid, almost three-dimensional oversized Monstera leaf design, taps into the continuing tropical trend in interiors. Its glossy, oversized leaves dramatise the beauty of light hitting the plant, which hangs down to create the effect of a lush ‘living wall’ against an urban concrete backdrop. It would look great in an urban industrial style space. Kitchen or bathroom anyone? 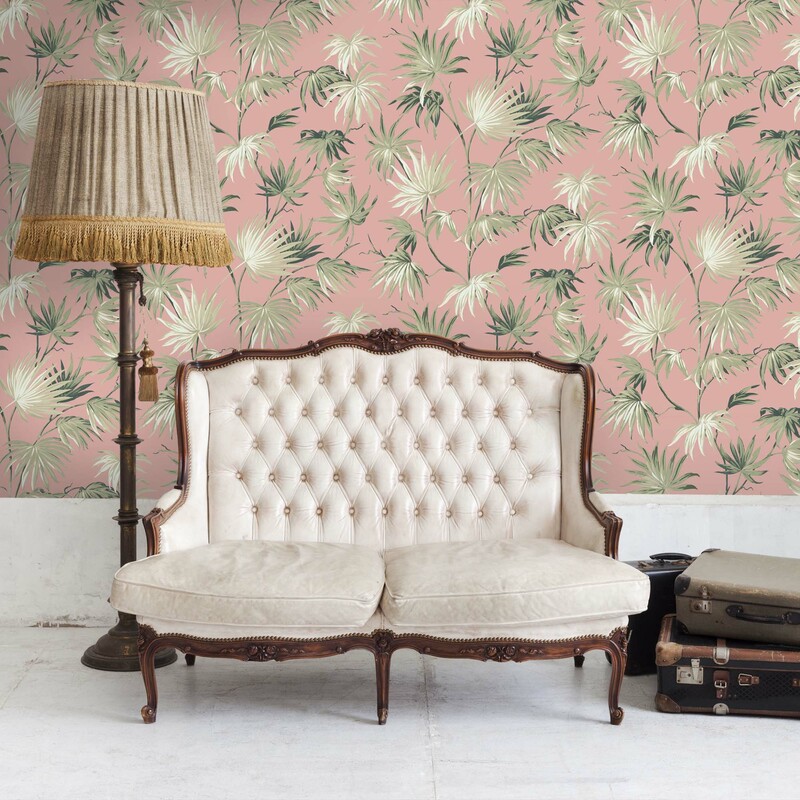 If we hadn’t fallen in love with Woodchip & Magnolia’s Va Va Frome leaf wallpaper this would have been our next choice. In fact, to be honest I’m still debating whether or not to go with this wallpaper instead. Which is why I haven’t as yet ordered our paper! And it would still go with any of the looks I’ve drawn up in my mood boards too. Decisions, decisions!! I simply adore this oriental inspired design with Cranes perching on imaginary bonsai style branches. It’s such a dreamy and beautiful design don’t you think? There are three colourways to choose from too so if pink isn’t your thing you could go for ever-popular blue or dramatic red. Another modern interpretation of the Japanese trend in interiors, Zen is a make-believe Oriental flowering shrub, originally hand painted in two gentle colourways of slate grey and creamy magnolia. Perfect for those that love a neutral but crave some pattern and interest in your homes. 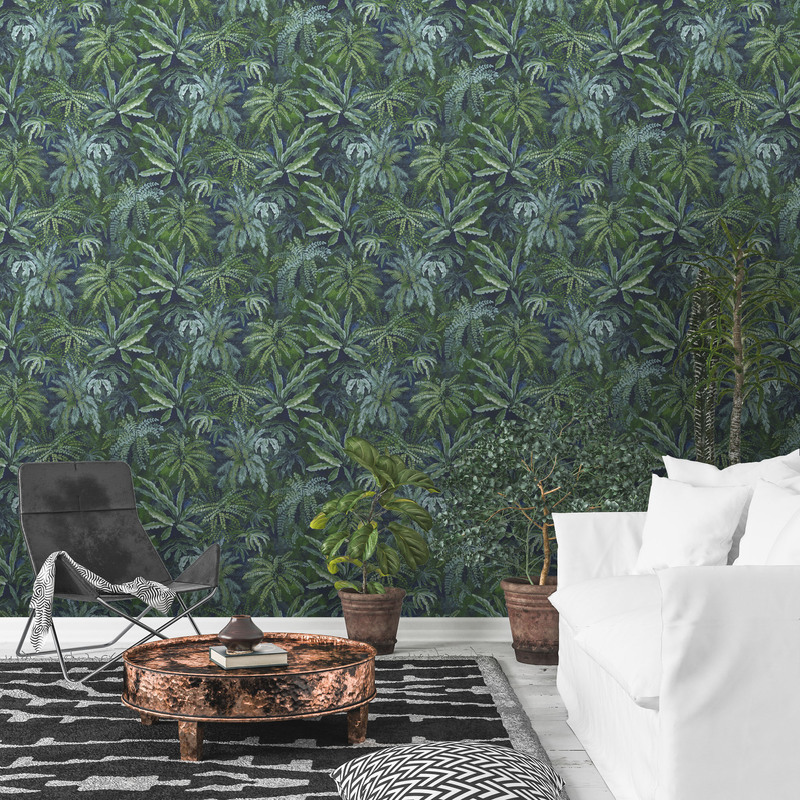 Oh, I do love a botanical wallpaper and Woodchip & Magnolia have nailed it with this lush, nature-inspired fern leaves that have an Oriental twist. Hand-painted from the imagination of an artist to adorn your walls. A work of art for your walls for sure. An homage to the surreal! A beautiful, fantastical garden, a riot of colour, featuring a bold floral, overlaid on to a backdrop of dreamy mountains and blue skies. You could recreate your very own garden of Eden. This vibrant design evokes memories of an idyllic Lancashire childhood when hours were spent in parks and woodlands collecting conkers for epic playground battles! Once again, Woodchip & Magnolia draws influence from the simplest pastoral pleasures of a bygone era. 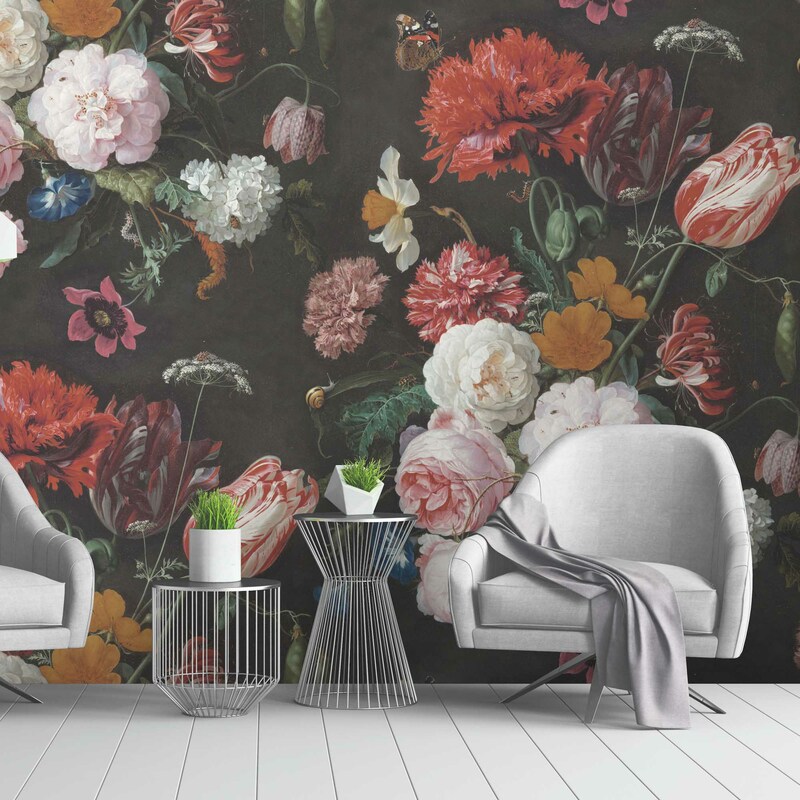 Fashion and textiles designer, Pearl Lowe, has extended her creative repertoire with the launch of her debut wallpaper and fabric collection, in an exclusive partnership with Woodchip & Magnolia. Unmistakably ‘Pearl’ in style – the new designs reflect her life-long passion for vintage, faded glamour, heritage prints, flapper-girl decadence and country house opulence –all mashed up with a smattering of pure rock n’ roll! Pearl Lowe is known as an all-around queen of vintage style and this collaboration with Woodchip & Magnolia is a depiction of everything she loves. Featuring unique, vintage-inspired wallpapers, wall murals and luxury velvet upholstery fabrics. For those of you that prefer to lean-to the darker side of decor, this beautiful design would be perfect. It’s actually based on some lovely old vintage fabric that Pearl had stored away in a suitcase! I love the exotic, slightly whimsical look of the bird, with its tropical, flamboyant plumage. 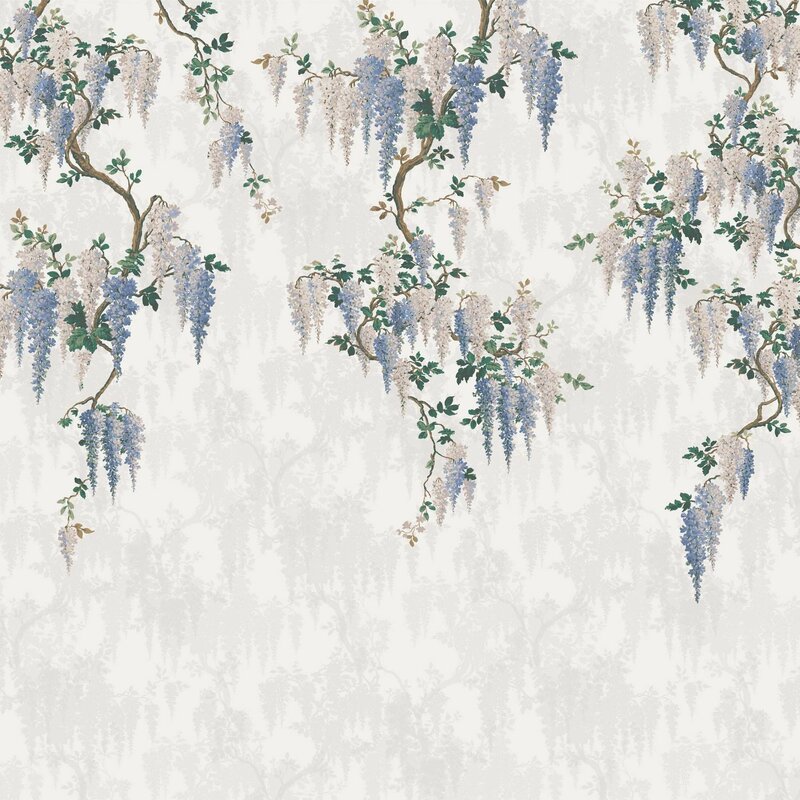 Inspiration was taken from the beautiful wisteria that adorns Pearl’s riverside house. 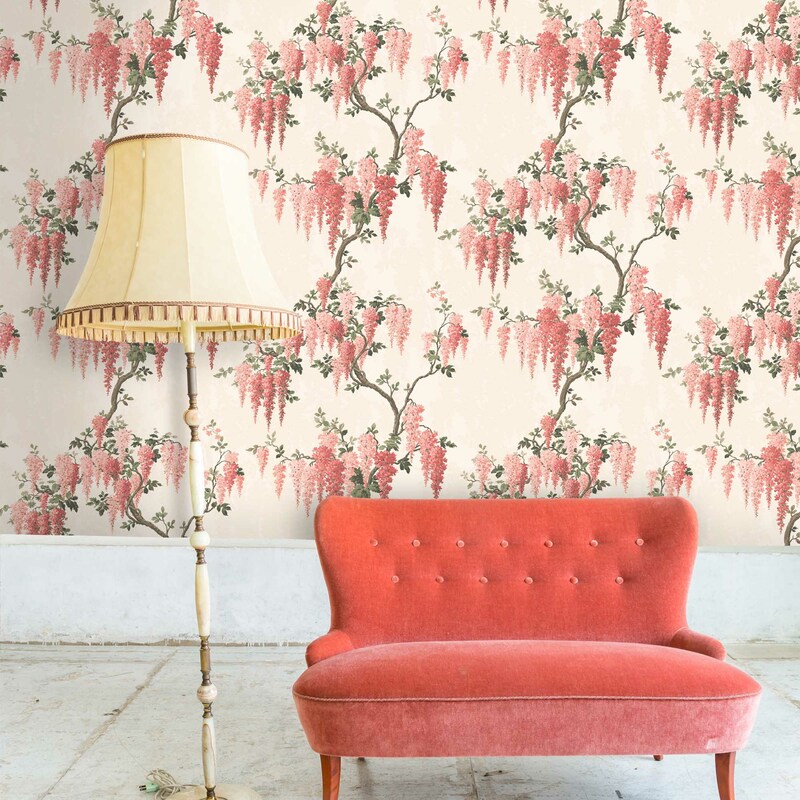 It’s a delicate design that would work anywhere in your home and this coral colour is just lush! There are 8 different colourways to choose from so if you love the look you can easily find a colour to suit your home. And if you want to go large it’s also available as a wall mural. So many beautiful papers here – it’s lovely to see them all Maria – very inspiring! Thanks Lin, they really are inspiring and make you want to get your decorating hat on! I had totally forgotten that Nina was behind Woodchip & Magnolia. And I’d also forgotten how much I love their designs. So thank you so much for the reminder. It’s good to know that they credit the designers that work with them too. It must be awful never to have your work recognised or acknowledged. Nina is super lovely and her love for our walls really shines through with her collections! Other companies should take note and follow her in crediting designers for their work! Such fabulous designs! I love the muted tones of the monochrome wall murals. I also love bright yellow of the oriental garden. So many lovely choices. Aren’t they just Fiona! I love them all!